The Motor Generator 1 (MG1) operates as the control element for the power splitting planetary gear set. It recharges the HV battery and also supplies electrical power to drive Motor Generator 2 (MG2). 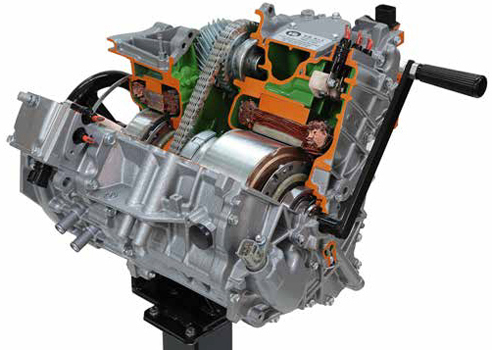 MG1 effectively controls the continuously variable transmission function of the transaxle and operates as the engine starter.